The weekend is fast approaching, and we've got a trio of country and bluegrass videos to kick off the party for this edition of TGIF Videos. Shine up your belt buckle and put on your best pair of dancing boots to start the weekend off right. First up we have "Move Me" from Sara Watkins, the first single from her forthcoming record Young in All the Wrong Ways. She moves past traditional bluegrass into a sound that's both more contemporary and deeply personal, describing the record as a "breakup album with myself". Young in All the Wrong Ways drops July 1 on New West Records, and you can catch Watkins in a pair of performances at the Kennedy Center in June (as I'm With Her). 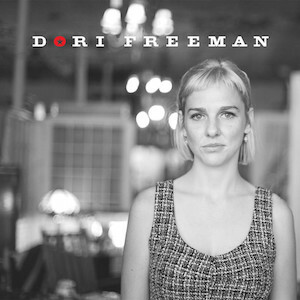 Next up we have "You Say" from Dori Freeman, from her eponymous debut. Freeman is the remarkable southern Virginia talent discovered by Teddy Thompson (son of Richard and Linda), whose heartfelt songs and startlingly clear voice recall a young Patty Griffin or Iris DeMent. Her album is currently available on Free Dirt Records. You can catch Freeman next Saturday at the Kingman Island Bluegrass and Folk Festival, playing at 3pm on the Bluegrass Stage. Finally, we have "The Real Deal" from New Orleans swamp-country outfit The Deslondes. Their sound combines the sharp Tex-Mex sounds of the Mavericks with the fat-bottomed R&B of Ernie K. Doe and Huey "Piano" Smith. Their self-titled debut came out last year on New West. No word on any local tour dates, but we'll keep you posted as soon as we hear anything.